After braving my pubescent years with a face full of hormonal acne (which then left me with a face full of dark spots) and a T-zone so greasy you could make a grilled cheese on my forehead, I didn't think it was even possible for me to have dry skin. But here I am, waking up with dry patches around my mouth, peeling skin on my nose, and a forehead that's more sandpaper-y than slick. A far cry from my oily teenage years, moisture has become the single most important part of my skin-care routine. That means swapping out stripping cleansers for creamy, hydrating ones, and incorporating oil-based formulas that won't leave my pores parched. Right off the bat, the latest release from The Ordinary fits the bill. The first-ever cleanser from the cult-favorite brand is designed to remove makeup and clean your face without sucking it dry. The star ingredient is vegan squalane, a natural lipid found in our skin's sebum that is deeply hydrating without feeling heavy — a.k.a. magic for my thirsty skin. On a 20-degree day in New York City, when my face was looking particularly snowflake-ish, I took the cleanser for a spin to remove thick foundation I'd been wearing for, oh, about 10 hours. I squeezed a nickel-sized glob of the balm into my hands and followed the instructions on the box exactly, warming it up between my fingers before massaging it into dry skin. As soon as I started warming it up, the cleanser melted down to a buttery oil texture, which also melted down my makeup once I rubbed it on. Usually when using oil-based cleansers, I always feel the need to follow up with a foaming face wash to get rid of excess grease — but I didn't have to with this. My face felt not only cleansed, but perfectly supple afterward, moisture intact. Another plus: The formula comes in squeezable packaging, so I don't have to dig my foundation-covered fingers into a jar before every use (because germs). 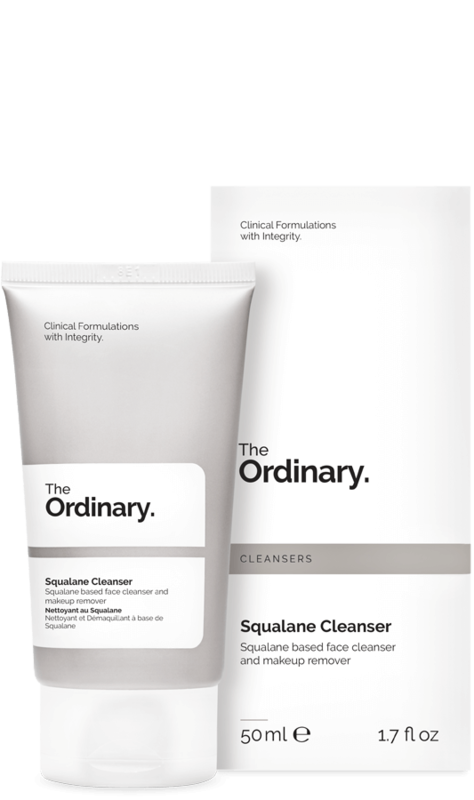 As the first child of The Ordinary's sure-to-grow cleanser family, this one set the bar pretty high. Between saving me money on the makeup wipes I go through like water, and feeling like *chef's kiss* on dry skin, it's a winner in my book.